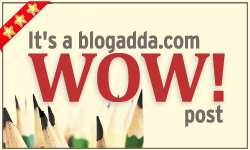 , Thank you Indiblogger for another star. I belong to Kannur, the land of looms and lores. 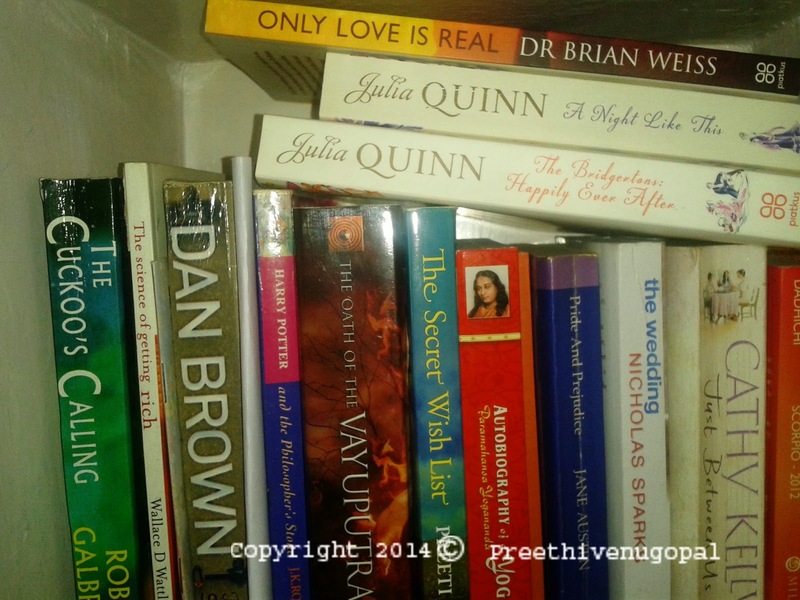 Every nook and corner of my place has a tale to tell, tales of a bygone era, of heroes, legends and myths. 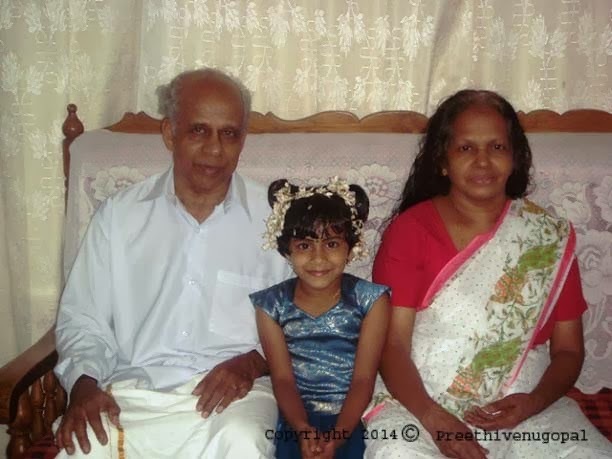 This tale told by my granny that I want to share, is the tale of how the Kathivanoor Veeran Theyyam was born. It is the story of a tragic hero whose life reflects the life of an ordinary man, who even after facing many setbacks in life becomes the extraordinary hero of a region. Theyyam is a vibrant ritual dance that is popular in north Kerala and is performed during the months of December to April. The artist who becomes the theyyam supposedly becomes the god-incarnation and gives advices and blessings to the devotees. What makes Kathivanoor Veeran special is the ambience of fire and the vibrant physical and acrobatic performance by the artist. Once when I asked what lured her to stand and watch the three day long performance of the Theyyam, Granny told me the tale. 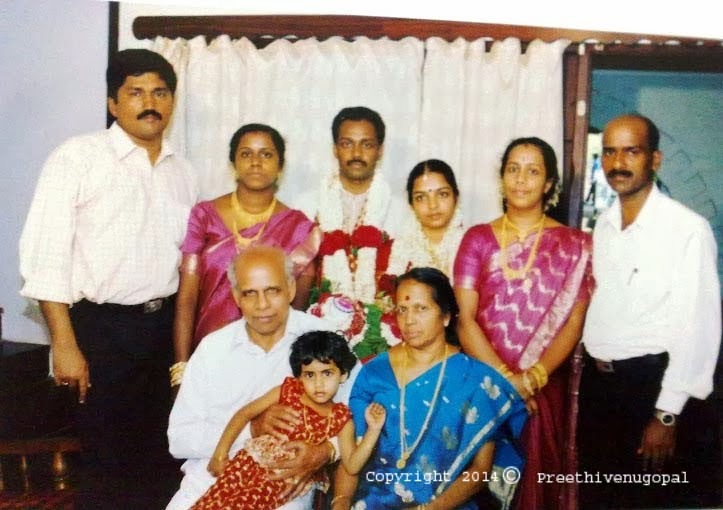 Long ago in a small village in Kannur called Mangad, a son was born to a local landlord Kumaran after years of prayer to their family goddess. 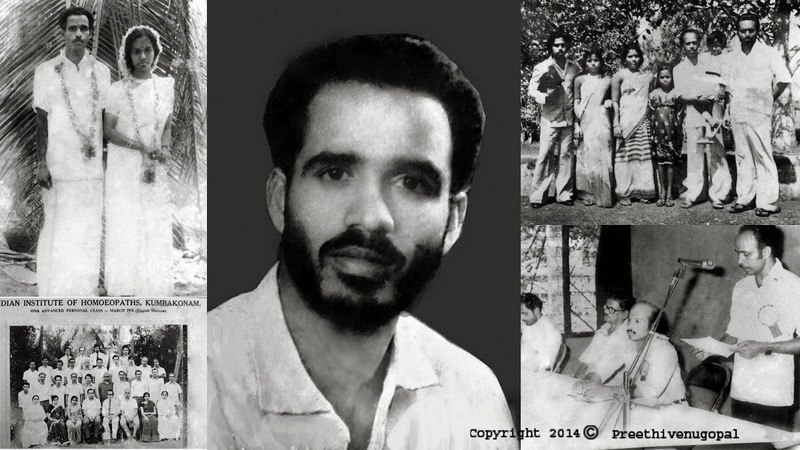 The boy Mannappan, grew up to be a head -strong youth who was more interested to become an expert in Kalaripayattu, the martial art form of their place. He was talented in that and dreamed of being a warrior much to the angst of his father. In a bout of anger, his father broke his weapons and Mannappan left his house saying breaking his weapons meant killing him. He joined his friends on a journey to Kathivanoor , where his maternal uncle lived. His friends fearing the wrath of his father intoxicate him with alcohol and food, and desert him half way along the path. Mannappan being the brave person that he was understands the treachery of his friends and continues on the journey alone, through the thick jungles and rocky terrains. By the time he reaches Kathivanoor, he is a changed person. His uncle welcomes him into his home and divides his property equally among him and his own son. He becomes a good farmer and learns to make oil from sesame seeds. He becomes a successful oil merchant. 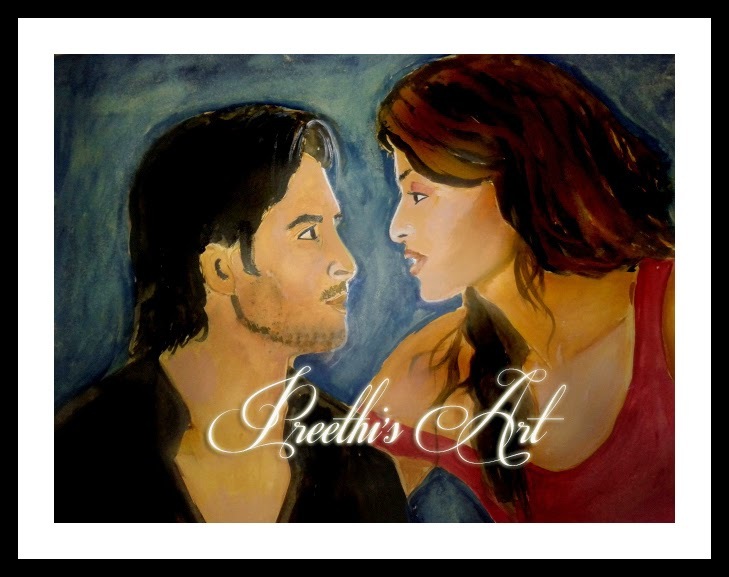 During one of his trips, he meets the beautiful Chemmarathi and falls in love with her. Even though she belonged to a lower caste and his family objected to the marriage, Mannappan sticks to his decision to marry her. After marriage, though they were head over heels in love with each other, there erupted occasional fights. Once, Mannappan returns only the next morning after a sales trip, being out all night. Chemmarathi doubts that he was with some other girl and does not open the door or lock the dog. A furious Mannappan forces open the door but calms down immediately and requests for food, as he is very hungry. An angry Chemmarthi asks him to drink his own blood and eat his own brain but then half-heartedly cook him food with unclean rice. When he takes the first handful of rice, he sees stone and hair, which is supposed to be bad omen, and discards it. In the next serving, his rice dumpling breaks into half. When he asks his wife what that means, an irritated Chemmarathi replies death in a battle and he discards that too. In the next serving, before he puts food into his mouth, he hears the war- cry of his friends who had formed an army against the Kudagu army, which wanted control over their farms. He leaves the food and gets up saying an honorable man should not waste time by eating when he hears the war cry. He collects his weapons and on the way out hits his head on the beam of the front door. He asks to Chemmarathi what it means and Chemmarathi who is completely mad at him tells him he will face death and his body will be cut into sixty-four pieces. When he goes out, a red headed chameleon crosses his path which is also considered as an omen of death. Chemmarathi who is worried by now requests him not to go to war but he refuses to listen and joins his friends in the war. They emerge victorious in the war, but Mannappan lose his ring finger along with his ring. He refuses to face Chemmarathi as a disfigured creature and returns to the battlefield in an act of suicide. The enemies hiding in the nearby forests pounce on him and kill him. They later cut his body into 64 parts and throw in various directions. His ring finger falls on a banana plant in their courtyard and a heart-broken Chemmarathi comes to know of his death. Together with relatives and friends, she searches for the other body parts and finally prepares the funeral pyre. Once the funeral pyre is lit, Chemmarathi diverts the attention of all by asking them to see the bright star which had risen during day and jumps into the pyre to be united with Mannappan, this time in death. When the relatives go to the river to take the dip after the twin-funerals, they are astonished to see Mannappan and Chemmarathi taking bath upstream in the same river. Many omens follow, which convince them that their hero Mannappan had become divine. Very soon, the Kathivanoor Veeran or the Hero of Kathivanoor Theyyam was created and attained the status of a powerful deity. This story, tells us about the importance of faith and trust in a relationship. It talks about hard work and the power of words. It also reiterates that life does not often give second chances. I try to follow this message completely. This theyyam is staged in houses or family temples funded by families, which needs blessings in the areas of relationships and prosperity. 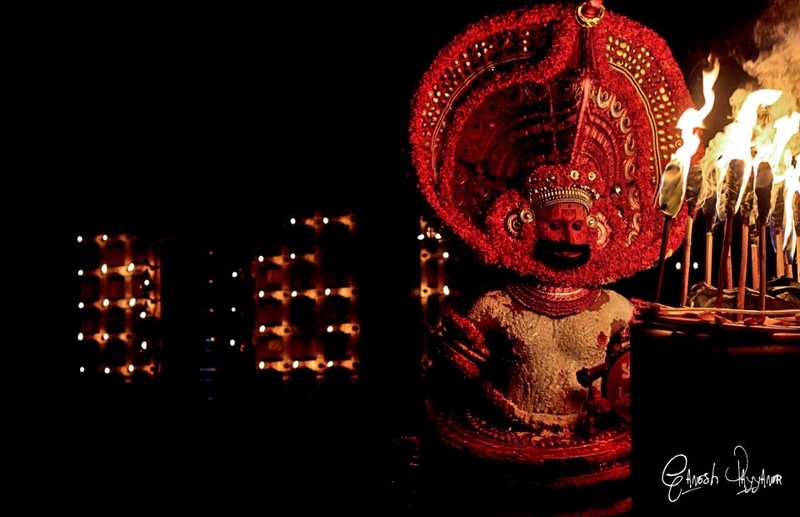 I was mesmerized by the tale and by the breath-taking performance of the theyyam artist. 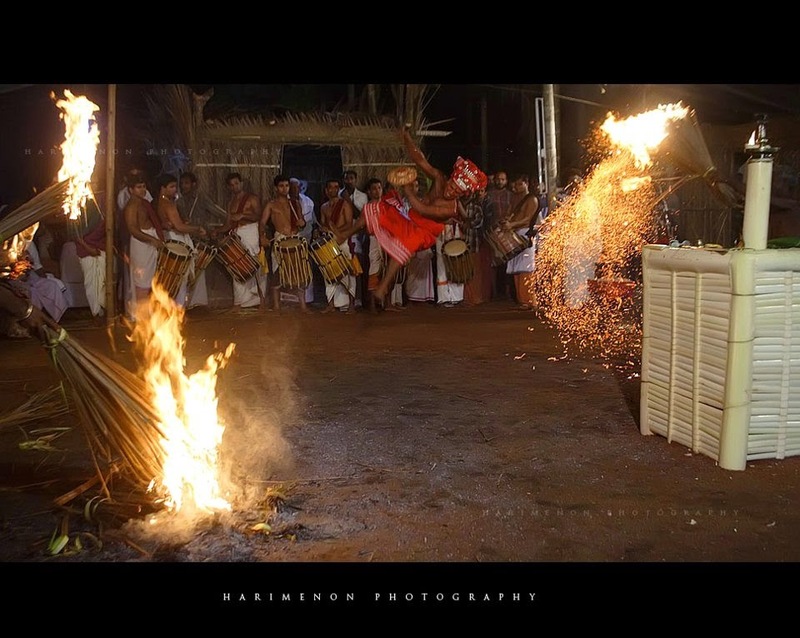 The Theyyam sings and acts the passionate story of Mannappan. Take a glimpse of this vibrant dance form from my native district. Why did my father leave me here? He said it was a magical place. “Little one…Come here. Why are you hiding in that corner?” asked the lady with thick glasses, who my father said was the Librarian, whatever that meant. The silence in the room despite the presence of many people perturbed me. I followed the lady despite my fears. The inner room had bright colours with small cozy chairs. I immediately fell in love. 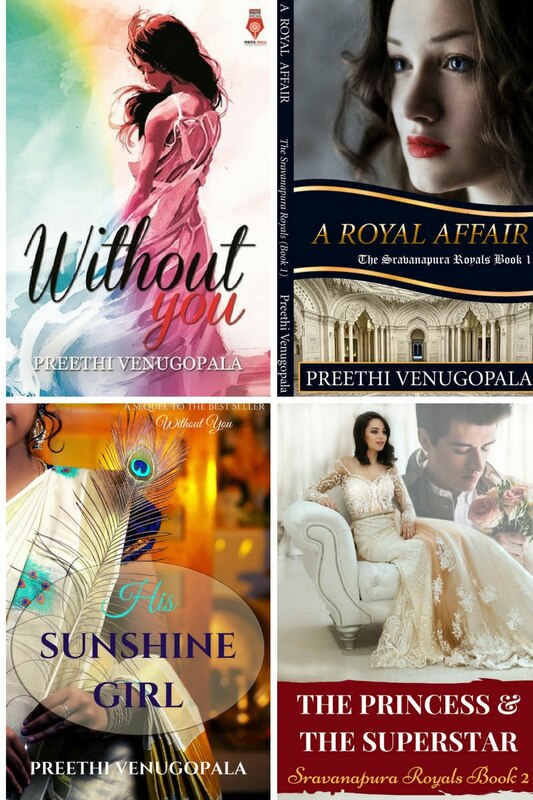 The books took me to a world of fairies, princesses and princes. I discovered the greatest love of my life that day years ago. Books! I encountered the enchanting language that flowers convey through the book titled The Language of flowers written by Vanessa Diffenbaugh. It was a delightful read. During the Victorian Era, this language was supposedly used as a means of covert communication between lovers. 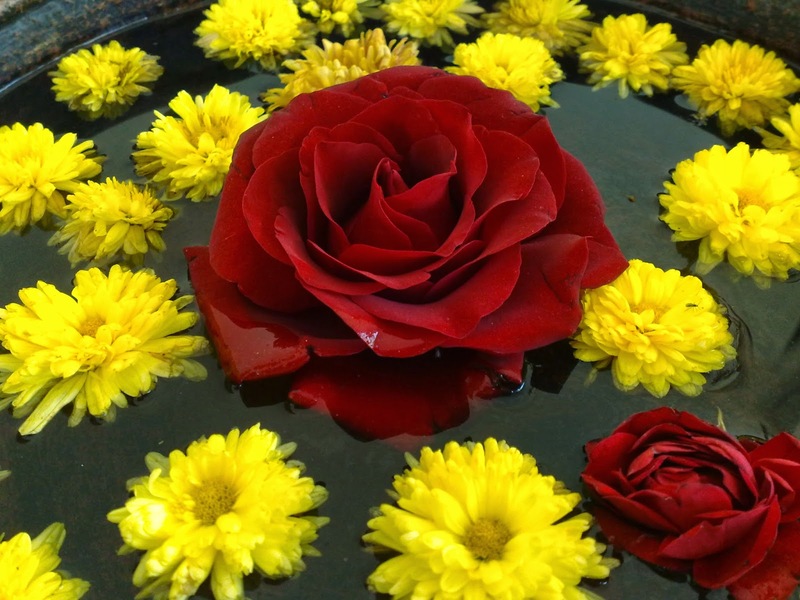 Each flower had a definite meaning associated with it. They declared love and commitment and even fought with the help of flowers. 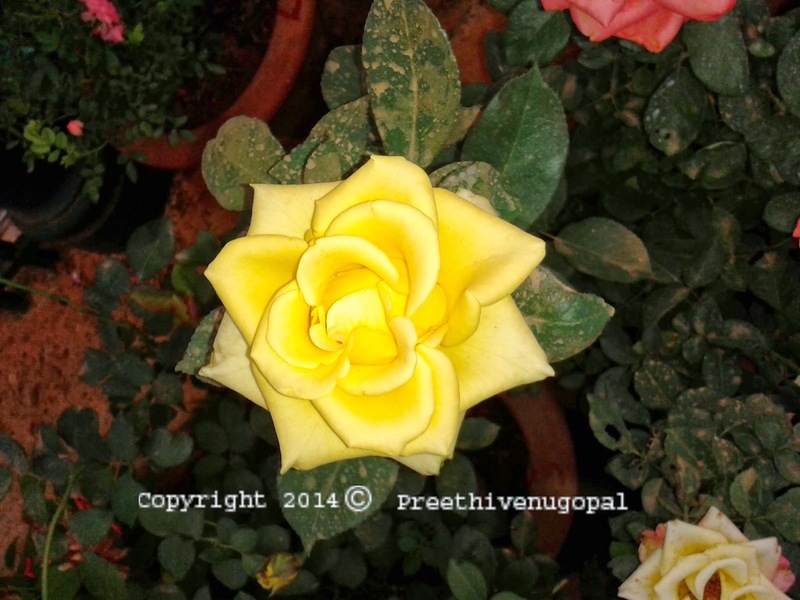 For example a Red rose meant Love, a Pink rose meant grace and a yellow rose meant Infidelity or jealousy. Quite funny but Cactus meant Ardent Love..
As I browsed through the list I found that Tulips, my favorite flower meant declaration of love. That do give a new meaning to my blog. Hmmm..unknowingly I had given a meaningful name to my blog. 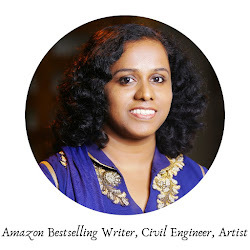 My blog is indeed my declaration of love towards Art and Writing. 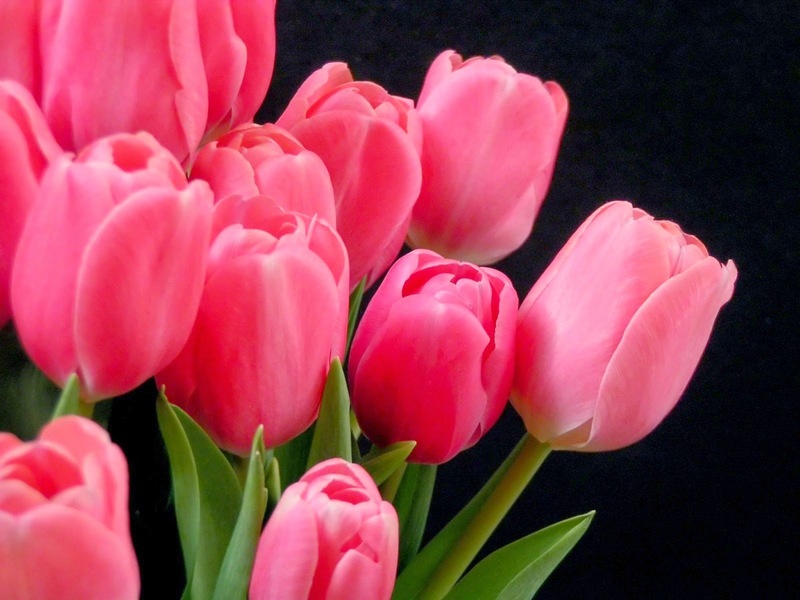 I have written about the symbolism associated with Tulips in an earlier post. Read it here. To read more about this secret language click here.. They even had a birth flower associated with each month. See the list here..
My birth flower according to this list is Chrysantemum and it means compassion, friendship and secret love. 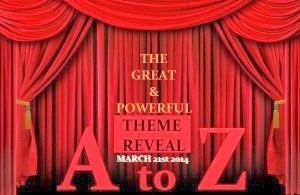 To know more about this, visit Vidya's Theme Reveal. Today is his birthday. It seems unbelievable that I have not heard from him in the last five years. How did the person who was the warmest presence in my life, become a non-entity. What should I tell you about him? It was almost twenty years ago that I had first met him. Amidst the scared howling kids, I had seen a single smiling and angelic face that seemed amused but unperturbed by the cacophony around. When our eyes met, he had smiled at me. I still remember forgetting immediately that my mother had left me among strangers, that too with bawling kids of my age at an intimidating place, and had wiped off the tears that had started to pour down my eyes. I had gone to sit near him and he had shared a candy with me. Our friendship had begun then, on that first day at kindergarten. Over the years, we had grown closer and he had become my best friend. “Boys and girls can never be best friends,” was the constant tease around in our teenage years but we both dared to ignore it. Then fate had struck its ominous sword and over a shared lunch one day, Manav had tearfully told me about his father’s transfer to Bangalore. The thought had made me numb, being separated from the friend I was so addicted to like chocolate was a terrible shock. Throughout the tense board exam days and later on through the entrance examinations, both of us reassured each other that the distance will not matter. As always, time has a way to heal even the deepest wound and I slowly taught myself to live without Manav. He was selected in a reputed business school in Bangalore for BBM and I for engineering in a nearby Government college. Initially we exchanged mails regularly, but caught in the daily grind of our studies, we slowly forgot each other. Then came the advent of the social networking and very soon we re-kindled our friendship. The frequent photo uploads and the comments that followed, told me he had changed. He was quite a flirt in college and girls literally drooled over him. I missed my old friend and the virtual image of his filled me with pain and hatred. I slowly backed off from the networking site and deleted my profile midway through my engineering. 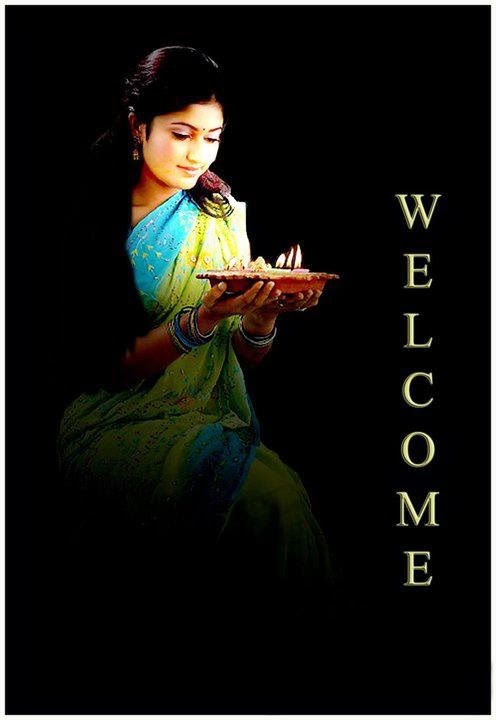 “Arti… Are you not ready yet? Hurry up lest we end up missing the train.” It was Mum acting like usual. The train was at twelve noon and it was just eight in the morning. We usually ended up at the station barely five kilometers away, minimum an hour before the train was to arrive. I closed my diary fearing her dramatic entry. I had taken a week long break from work especially for this marriage we were going to attend. I suspected more plans involving me were afoot. Mum had never shown this much interest in my wardrobe. The marriage we were planning to attend was that of the daughter of a distant friend of my father. Something which could be cancelled without much of a regret. They lived in Ernakulam too, requiring us to travel eight hours by train. At the train station, I watched a short video by British Airways in an email send by a friend, which set me thinking how nice it would be to be happily married. “Go Further To Get Closer”..The tagline appeared so romantic. I surprised myself when Manav’s smiling face appeared without much ado when I thought about whom I would like to get married to eventually. Whoa… When did I start thinking about him in that manner? At Madhavan uncle’s house, it was all glitter and lights. Maidens dressed at their best and anxious parents on the lookout for prospective grooms and brides were everywhere. It is a headache to be an unmarried female at a marriage function. “Arti… Remember me?! !” said a voice and I turned back to look into the face of the beloved friend who was on my mind the whole day today. “Manav… What a surprise?!! Lovely meeting you here,” I manage and join Manav at a table loaded with snacks. Between sharing the news and hogging snacks, I find that we still share the easy rapport we shared years before. “ So where is your girl friend ?” I ask and he assures me he had only one all along and the one was sitting in front of him hogging cookies. “When did I become your girl friend?” I ask in between nervous giggles. “When I started missing you … when you stopped remembering me… when you vanished from my world without a trace. Why did you do that Arti? Do you know how much I tried to contact you? ” asked Manav suddenly grabbing my hand. “We had changed houses,” I say sheepishly though I know he is referring to how I had simply stopped contacting him. I had even stopped using the mail id that I had given him. "Why didn't you answer my mails?” Manav was fuming and I confess how hurt I felt by his changed ways in Bangalore and how much I hated his online image. “ Whoa, and here I was thinking of making you jealous….,” says Manav releasing my hands and looking defeated. “Hey..Cheer up..All is Well. Destiny made us meet again. Didn't it?” I ask beaming. “Destiny?? Oh..so you want to credit destiny for the hours that I spend to track you down. For all my efforts to go further to get closer? ?” asked Manav with a mischievous smile on his face. 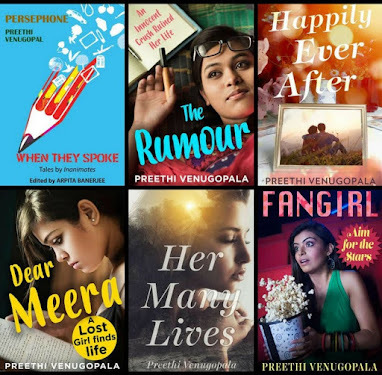 “Don’t tell me Priya is the Cupid,” I say when the idea dawns on me, referring to the mutual friend who had sent me the British Airways ad. Manav’s smile does not contradict my thought. Little do I know that his co-conspirators were all around until my parents and his parents joined us to enquire how far things had progressed?!! Everyone had gone further to bring us closer. Manav now worked with British Airways in the procurement division and was currently posted at the Bangalore International Airport. Therefore, he had taken upon himself to act upon the inspiration provided by his employer’s ad. 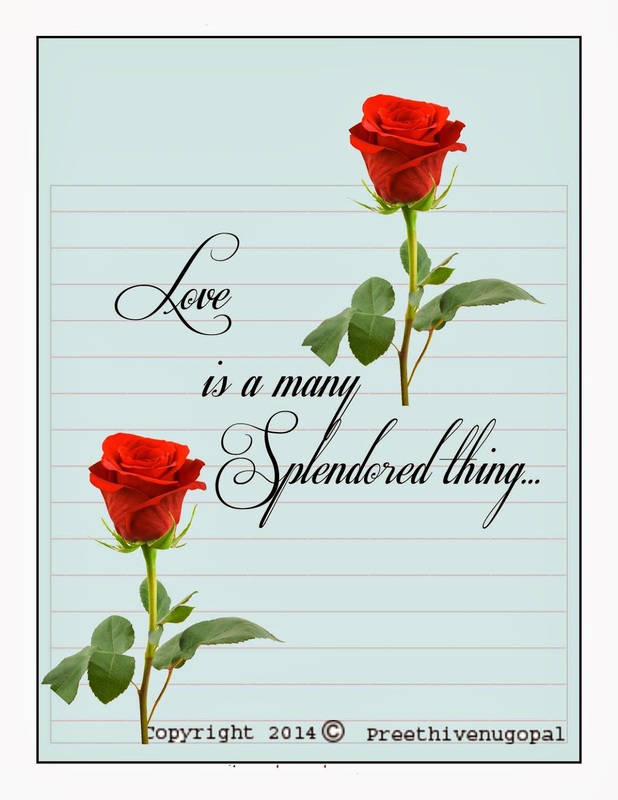 Love was indeed a many splendored thing!!! *This story is written as part of a contest organised by Indiblogger in association with British Airways. Being an artist is a crazy job. I can assure you, it is. I am one myself. 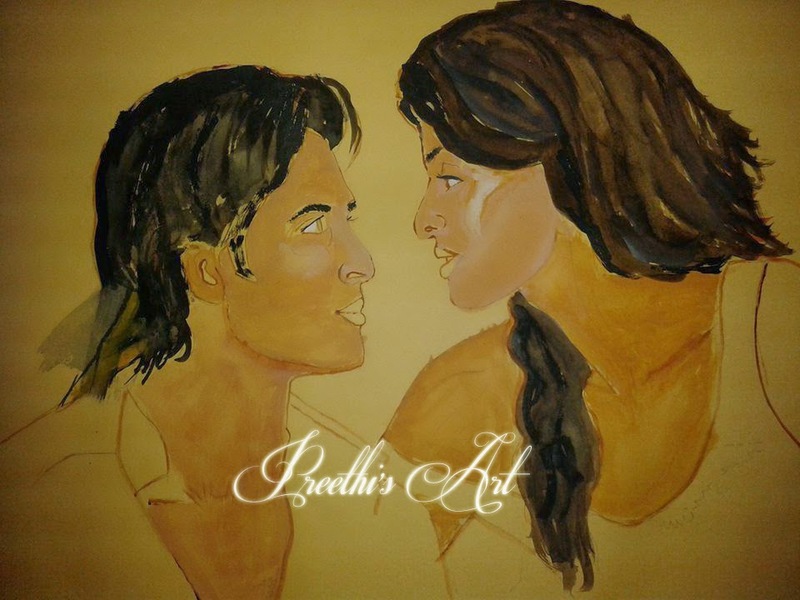 People have a ridiculous approach towards artists, especially towards painters, traditional artists and portrait artists. They demand proof of your skill. They need you to cough up a masterpiece within minutes. Moreover, when it comes time to pay they will show magical powers to weasel out of paying you or device methods to convince you to sell it for one fourth its worth. 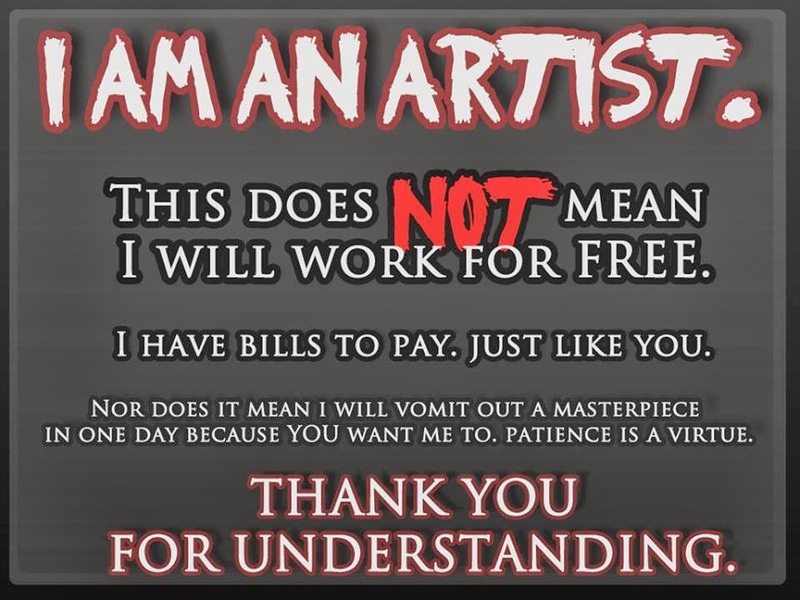 You are a local artist. Why should they buy from you when they can buy *branded* masterpieces from an upscale supermarket. 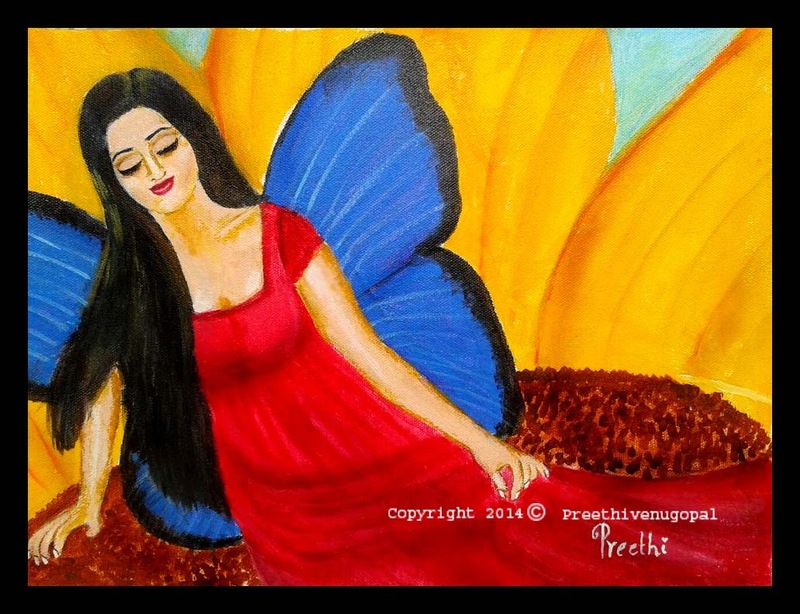 Who cares if the seller paid only one third of the cost price to the artist? The following quote eulogizes the pains of an artist and the importance of buying art from an artist directly. “When you buy from an independent artist you are buying more than just a painting or a novel or a song. You are buying hundreds of hours of experimentation and thousands of failures. You are buying days, weeks, months, years of frustration and moments of pure joy. You are buying nights of worry about paying the rent, having enough money to eat, having enough money to feed the children, the birds, …the dog. You aren’t just buying a thing - you are buying a piece of heart, part of a soul, a private moment in someone’s life. What prompted me to write this post is a half story I read at IndiChange. Yet another half story that needs our help to complete. The Artists of Raghurajpur create art that is worth a lot, yet it is under appreciated. They aim to create a website, which promotes their art so that they get the true worth for their art. Watch this video to know about them. Indiblogger via Indichange joins Tata Capital to help complete their half story. I hope this blogpost creates awareness about their art and also helps to spread news about this effort to complete their half story. Images of the massive twister ripping through Washington tore at my heart because Gautam’s phone was still unreachable. All the special moments we shared was playing continuously in my mind, making me yearn to hear his voice one more time, to breathe in his warmth just one last time. How I wish I had not fought with him the last time he had called, how much I wish the person who made my days brighter with his laughter and loving presence, was safe. “Sweetheart…You are acting like your best friend just died,” cried a voice behind me and instantly tears of relief started pouring out from my eyes. Later while we happily snuggled closer to each other on the couch, watching another one of those thriller movies he loved to watch, I thanked providence for urging him to take that earlier flight out of Washington to surprise his furious wife. I understand that for every daughter, father is her super-hero, her inspiration. My father was no exception. For me, he was the complete man. A loving father, a doting grandfather and a doctor who was respected and loved like god by all his patients. My father was a self-made man. After losing his father at a tender age of fourteen, he struggled to complete his studies while taking charge of his family. His life was a continuous struggle but he never gave up. He did odd jobs to feed his family and get his siblings succeed in life. 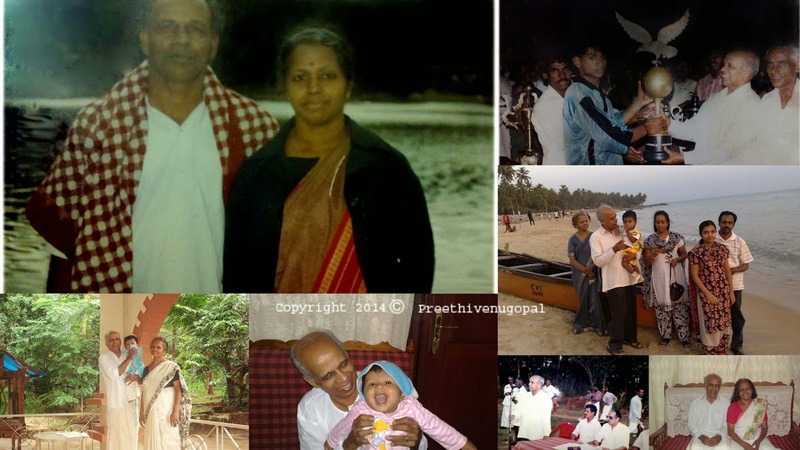 He worked as an accountant at a grocer, then became the assistant to an allopathic doctor, studied to be an ayurvedic pharmacist and then joined government service as pharmacist. While there, again his thirst for knowledge and a quest for complete healing, led him to homoeopathy. Very soon, our house started to pile up with medical books and he became a very successful homoeo doctor. 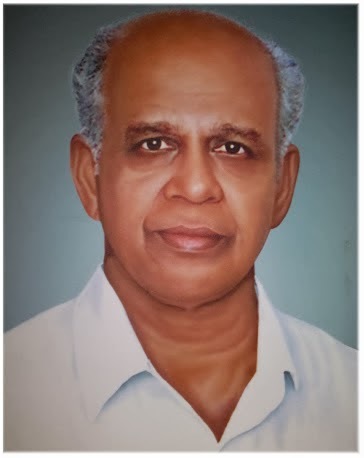 His love for homoeopathy he passed on to my brother and sister. My brother is Chief Homoeo Medical Officer with NCT Delhi and my sister manages my father’s clinic now that he is gone. He was Kannettan (Brother Kannan) to the whole village and we enjoyed the privileges of being Kannettan’s kids. Wherever we went, we got special attention, people wanted to return the love he showered selflessly on them. He never took money for medicine at home and everyday many would be waiting for him to come home. To the poor, he was god himself, he would specifically write F on the prescription of patients whom he knew was poor, so that his assistant would know that no money was to be charged. Of the hundreds, he treated every day; there would be many such F.
He was a loving brother to his siblings. He took special interest in their well-being and he was the glue that bound the whole extended family together. If there were a crisis, he would wade in and solve it with ease. For my mother, he was love personified. Like a dutiful husband, he took great care of her and us and yes, he never forgot their anniversary. He would give memorable gifts but would joke aside that he worried about his head lest he forgot the day he became a slave for life. He wrote poems, plays and many articles for the local newspaper. He acted the lead role of that of an old man in a play he wrote to promote homoeopathy. I remember the songs they had composed for it and even some dialogues. He did Yoga everyday and believed to eat for living and not living to eat. I wish he were near whenever I make tomato rasam, which was his favourite. For the kids he was the sweet-man rather than doctor. Kids who refused to go to other doctors marched happily into his consultation room fully confident that he had no syringes and always had a bottle of sweet pills (globules without medicine) ready for them. While growing up, I took pride that I was his pet. I got away with my laziness, nomadic nature and I-don’t-care attitude just because he stood behind me like an iron pillar of support. During my kindergarten days, he would make my breakfast (mostly puttu) delicious by adding mashed bananas, ghee and sugar and keeping it ready to be eaten. My brother and sister would pretend to be the Lion and Tiger respectively and come asking for their share. If I did not give, Lion would get angry, the tiger will roar. My mother was working too and she left earlier than my father did. Therefore, he took on the role of mother too for me. I will await the sound of his TVS after school mainly because of the hot buns, omlette and hot tea he will buy for me at Madhavettan’s shop near the Ayurveda hospital he worked then. He would be among the last to leave the hospital being a sincere worker. He would raise voice against the discrimination and corruption happening at the hospital. Whatever love for literature I have, I owe it to him. Starting from the bedtime stories that he read to me, he urged me to love stories.There was no dearth for books to read at home and he encouraged me to join the village library as well. Being in Kendriya Vidyalaya, he took special care that I read more Malayalam books, as we did not have Malayalam as a subject at school. I remember he used to give reading challenges to me. Once during my school vacation, he gave me the Malayalam translation of Yashpal’s Jhuta Sach, which depicts the crucial period after Indian Independence and the after effects of the war. The book was almost nine hundred pages long and he promised me a gift if I finished it before my vacation was over. I completed it.. The love for the written word gave me “The best Library User” award at school and I still remember how happy he was about it. I used to spend the major chunk of my pocket money on books and he would never speak a word against it, though my mother would rant continuously about wasting money. He would then whisper, “IGNORE” to me. There was a dictum he wanted us to follow. He never liked us criticizing food. He never complained either. He wanted us to be thankful for what was being served. Being the prodigal daughter that I was, I did not choose to follow his steps nor did he insist. I was scared of the field of medicine. My best score was in biology but I selected engineering just to be away from the trauma a doctor sees every day. The thick medical books that adorned the shelf at home were another reason. He did not pester us to become competitive, he wanted us to follow our heart. There used to be long discussions between my siblings/ their college mates and him regarding the science of homoeopathy. He believed in classic homoeopathy and my brother /sister’s friends would marvel at his knowledge. He was also a talented football player and was the captain of the local football team, and had won many tournaments in his youth. Come what may, he used to watch all the world cup football matches and there would be a crowd of cousins and friends to join him. When at the age of seventy-four he left us for a place from there is no return, all of us were in denial for the longest time. It was unbelievable that our father, who was the brightest presence in our lives, was no more. During the eight long months that he was bed ridden after an attack of meningitis, every day we prayed for a miracle. We believed strongly that he would bounce back, being the fighter that he was. However, everyday he sank further away into a world of oblivion. He forgot even how to eat. He did not recognize his loved ones anymore. Not a person returned dry eyed from his sickroom. Some ran away crying saying they could not bear seeing such a kindhearted man struggling. A cruel march three years ago stole him from us. We are still learning to deal with the loss. Another march begins today to remind once again that the radiant sun in our lives has set forever.